Today is looking a little cloudy, but we're going ahead with Astronomy in the Park. If we get clouded out, we'll let you know on Facebook. 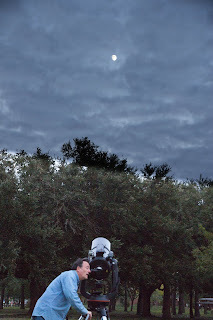 Our almost-monthly Dark Night Astronomy event is scheduled for this Saturday at sunset. 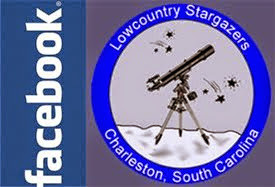 Observe constellations, planets, the moon and deep sky objects at one of the darker sites in the Charleston area, guided by members of the Lowcountry Stargazers. Please see our calendar to the right, or our Facebook Events page for more info. NOTE: We will be setting up behind the headquarters building, instead of the Pepper field near the trailhead entrance. Please use the main entrance, then bear to the left.